An often overlooked aspect of strength training is the importance of moving through the complete range of the involved joint. Why is it important? Because the end points of the range (when the weight is hanging at the bottom of your extended arms in the case of a biceps curl, for instance) of a lift are where you have the greatest opportunity to make the joint sturdier and more resistant to injury. 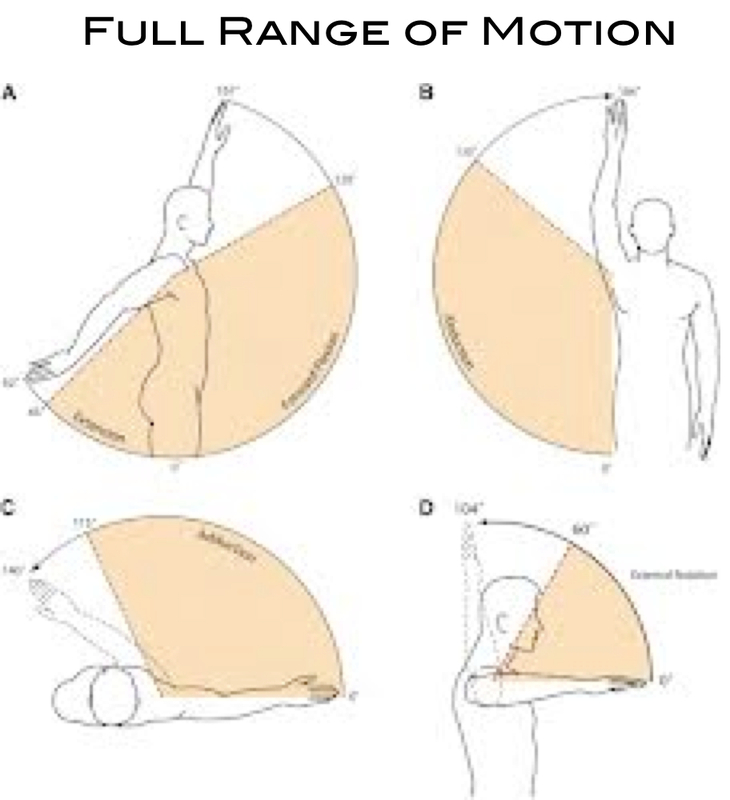 When we stay in the middle 80% of the range or speed through the end points we not only put the joint at risk, but make it more vulnerable to future injuries. Still, many people sacrifice this critical benchmark in order to do more reps or handle more weight. Covering the full-range with each lift and being especially careful at the transition points – especially the beginning of the more difficult phase of the lift (coming off the floor when doing push-ups) – is one of the best ways to improve the practical value of your improved strength. So when you pull a bag of groceries out of your trunk or move a heavy box in your garage, your joints hold up when your reach is fully extended.